For three generations already, Bouvet SA is a family-owned and –run corporation which has grown from a one man business into a large corporation with close to 1.000 employees and to € 150 mio turnover. 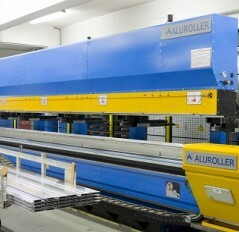 Bouvet purchased its first Aluroller in 2007, and its first Aluroller EVO was installed just a few months ago. One of the company’s corporate values is to never cease to innovate. Since the 1970’s already, the company started experimenting with the combination of different raw materials to produce end products. 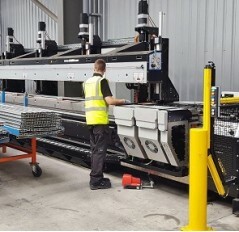 Today, this has resulted in a separate business unit: subdivision MINCO focuses exclusively on the production of window profiles, which are a combination of aluminium and wood. Bouvet itself has also extended its activities and is now a full extruder, thereby allowing even more innovation. In the first years of this millennium, Bouvet started to explore the possibilities of Thermal Break for aluminium profiles, and that’s how they came across Aluro.